SAN DIEGO, CA -- April 02, 2007 -- Bank of Internet USA (the Bank), a wholly owned subsidiary of B of I Holding, Inc. (NASDAQ: BOFI), and CWI, Inc. (Camping World) announced today that they have launched a five-year marketing agreement to offer deposit and loan products to recreational vehicle customers through RVBank.com, a new website operating as a branch of Bank of Internet USA. The agreement will allow both companies to drive new growth opportunities by matching Internet banking with the financial needs of the RV lifestyle and by introducing "Boomer" and "Senior" Internet banking customers to the freedom of recreational vehicle ownership. Effective April 1, 2007, RVBank began serving the customers of Camping World, America's largest retailer of RV parts and accessories, by offering online FDIC-insured bank deposits and loans nationwide with the great rates and low fees that Bank of Internet USA has been providing to customers for more than six years. A leader in Internet banking, Bank of Internet USA offers all RVBank products online including checking accounts, bill pay, certificates of deposits, mortgage loans, home equity loans and more through one office, with no branches, and passes the overhead savings to customers. RVBank customers won't need to worry about bank statements sitting in a mailbox or storing checks while on the road. With Bank of Internet's RVBank, all information is available online 24/7. Bill pay is free and RVBank reimburses up to $10 per month in ATM fees charged by other banks anywhere in the world. RVBank customers who need a home equity loan apply online through a secure Internet connection. Upon approval, the customer will receive an email and a bank representative will arrange to meet the customer nearly anywhere in the U.S. to sign documents. "We are working together because we share the vision of a growing, underserved RV market with high-quality customers with unique service needs," said Gary Lewis Evans, CEO of Bank of Internet. "Bank of Internet began serving the RV niche market in mid-2006, and this new alliance with Camping World and RVBank will show more customers how easy and rewarding the self-service banking option can be." "RVBank is just another example of how our organization brings needed services and attractive offers to our customers," said Marcus Lemonis, CEO and Chairman of Camping World. "The growth in online banking matches the needs of our increasingly mobile customers. Our customers will save time and money by letting RVBank take care of their banking needs." The Bank of Internet USA is a consumer-focused, FDIC-insured, nationwide savings bank operating primarily over the Internet. It offers a variety of consumer banking services, focusing primarily on gathering retail deposits over the Internet and originating and purchasing multifamily, single family and home equity mortgage loans and mortgage-backed securities. 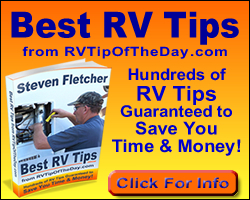 The Bank also is an indirect originator of RV loans. Bank of Internet offers it products through its websites at BofI.com, SeniorBofI.com, RVBank.com and ApartmentBank.com. Camping World is a wholly owned subsidiary of Affinity Group, Inc (AGI). AGI and its affiliated companies serve the safety, security, comfort and convenience needs of the North American outdoor and recreational vehicle market. Our roots go back to 1941 with the publication of Trailer Life magazine. AGI's goal has been simple: Make RV ownership and the RV lifestyle more enjoyable. AGI is parent to several businesses that provide goods and services to the outdoor recreation market. AGI owns and operates several clubs for RV owners including the Good Sam Club, Coast to Coast and Camp Club USA. AGI also supports the enjoyment of the RV lifestyle through campground directories and buyer's guides, consumer magazines, regional publications, and websites. Through its various companies, brands, products and services, AGI targets almost every aspect of the diverse and dynamic outdoor recreation market.